Start Planning Your Kitchen Renovation Today with Kitchen and Decor! It is a brand new year. It is time for a change. Why not start with your home? We are talking about a complete kitchen renovation. If you ask us, this the perfect way to start the new year on the right foot. Kitchen and Decor Center will make sure you have someone with you every step along the way. We are the best kitchen contractors in Miami. We have all been guilty of it. 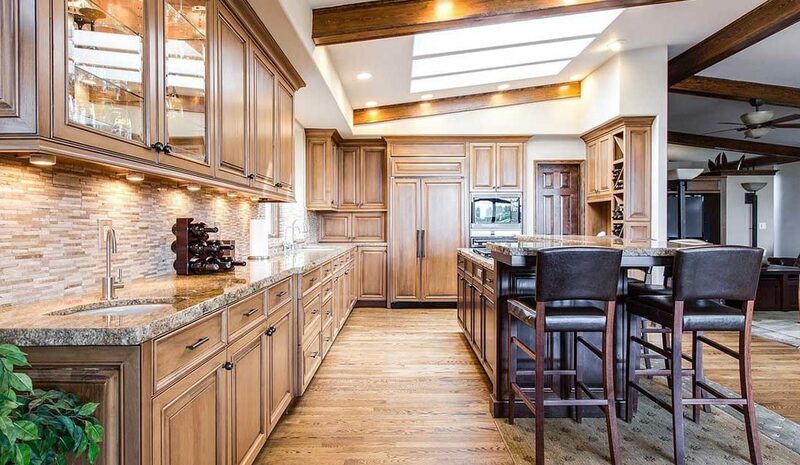 We see a beautiful kitchen remodel on Pinterest, in a magazine, or a home improvement show. The next thing we know, we hate everything about our current kitchen and have an unrealistic expectation on what it should look like. It must be updated and completely remodeled. Stat! However, not so fast. It is going to take some time and a lot of planning before you can dive in. A kitchen remodel is a big undertaking. Do not rush. Take some time to think. Yes, you want a prettier kitchen. But why else are you remodeling? Do you want room for entertaining? Do you plan to sell your home in the next few years? Do you want a more open space? Take the time to figure out what you really want to get out of your kitchen. What is your overall goal? Be sure you consider your budget, too. This is a very important part of the process. Do not let yourself be blindsided by cost. Budget, budget, and budget some more. The scope of your project will largely determine the cost, and you’ll also want to take materials, contractors, structural changes, and more into consideration. Create a drawing of your kitchen, complete with measurements of all elements — doorways, counters, etc. This will prevent you from purchasing an appliance that is too big for space. Think about aging in place, and design your kitchen to be accessible. This will not only allow you to remain in your home longer, but it will also open up your buying pool if you decide to sell your home in the future. Before you hire a contractor, choose your materials and fixtures so you can avoid backorder delays and bids that are not accurate. When it comes to a kitchen renovation, we are the best choice. Trust our expert kitchen contractors. Kitchen and Decor Center is a family owned and operated a company that truly understands the importance of the “Family First” philosophy, and it has been the key to our growing success. It is this philosophy that allows for seamless cooperation at all levels of our growing organization, from management to staff and all the way up to our customers. And although you may only work with one or two individuals, rest assured that our entire team is behind you. We believe that the family continues to grow with every new customer. Call us today for more information. We take pride in being the best service for home remodeling Miami. We honestly do offer the best bathroom vanities near me.